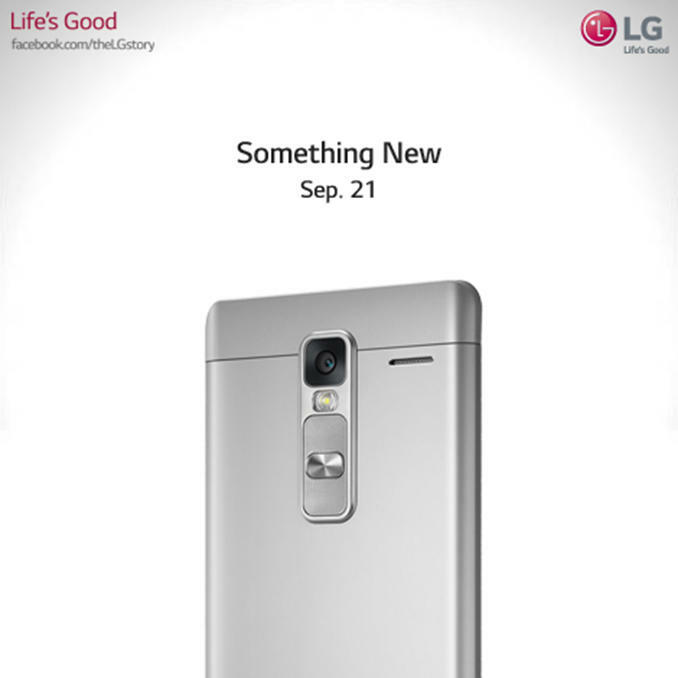 LG is already set to show us something new on October 1 at an event in New York. Now it turns out the company could have another device coming even sooner. A new teaser spotted by NoWhereElse reveals plans for a fresh metal smartphone coming on September 21. The image shows what looks like a metal device with LG’s signature buttons-in-back setup. There’s also a pretty big camera and a single rear-facing speaker. NWE claims to have some additional inside info on the upcoming device. The new phone will allegedly go by the name LG Class, which makes sense considering its sleek metal design. It may also pack a 5.7-inch 1080p display, a Snapdragon 615 processor, 2GB of RAM, 8GB of storage (hopefully with microSD support), a 12-megapixel primary camera and a 5-megapixel front-facing shooter. That’s not exactly flagship hardware, but it should be enough to keep the LG Class competitive in the mid-range market, possibly among unlocked devices such as the Moto X Pure Edition and the OnePlus 2.